Make a substantial donation without affecting your quality of life during your retirement years or what you leave to your loved ones. 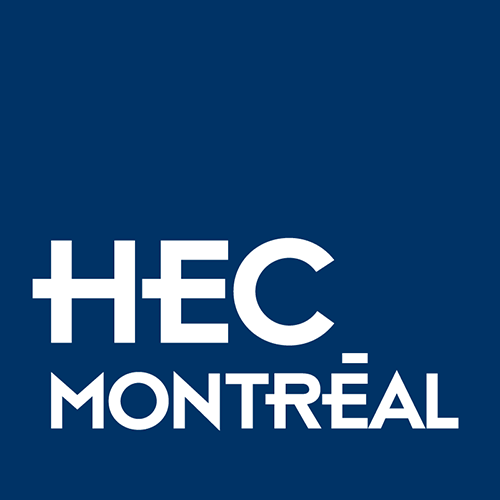 Donors in good health aged 65 or older who have a portfolio of non-registered investments and who wish to make a sizeable donation to the HEC Montréal Foundation. Maintain or increase your annual income. Guaranteed payments for life (for the donor and/or the donor’s spouse), largely or entirely tax free. Immediate receipt for the amount you donate (life insurance premiums or cash). Satisfaction of seeing the immediate impact of your donation, if in cash or negotiable securities. Satisfaction of making a significant investment in the future at a minimal cost today, in the case of the transfer of a life insurance policy to the HEC Montréal Foundation, which would then also be designated as the irrevocable beneficiary. Charitable insured annuities let you give to the HEC Montréal Foundation without affecting your quality of life during your retirement years or the assets you wish to leave to your loved ones. To opt for this strategy, you would start by purchasing a life annuity using non-registered funds, which will provide you with a set income for the rest of your life. You would then take out a life insurance policy, which will ensure your principal is maintained. One portion of the annuity payment is considered to be a repayment of the principal and is therefore non-taxable. Only the other earnings-related portion is subject to tax. Upon your death, payments will cease and the death benefit from the life insurance policy will be paid to the designated beneficiary to replace the amount originally invested in the annuity. This strategy is generally used by people who receive a higher lifetime income than that generated exclusively by fixed-income investments. Favourable tax treatment helps ensure that charitable insured annuities protect the value of an estate for heirs. You can also take advantage of the increase in net income to make an additional donation to the HEC Montréal Foundation. The upsides of this approach are compelling, but they do not apply to everyone. It is important to stress that the returns on the invested capital are fixed for life and that you will no longer have access to the principal per se. Returns will vary depending on your age and health at the time of purchase. To maximize this strategy, you must be insurable and not subject to extra premiums. Insured annuities can also be established on a joint and last survivor basis, thus guaranteeing income security for you and your spouse.